Email and Internet is a brilliant thing. It has changed the way that we do business. Gone are the days of visiting a library to research products, competitors and clients, and visiting the bank to get your bank statements. Communication between fellow employees and other companies has also become far more efficient and professional. What is our policy with regards to staff using email for personal use? What measures have we put in place to ensure that staff do not use company time and resources to visit unnecessary websites? How will we as a company deal with emails when they are of a discriminatory and offensive nature, especially when these emails are brought up in disciplinary hearings? What is the financial cost to the company, of employees using email and Internet for personal use? What image is our staff projecting when they email from our company email address or domain? Without a document detailing how an employee is expected to deal with email and Internet, and what their rights and responsibilities are with regards to this matter, an employer has little control over this resource. 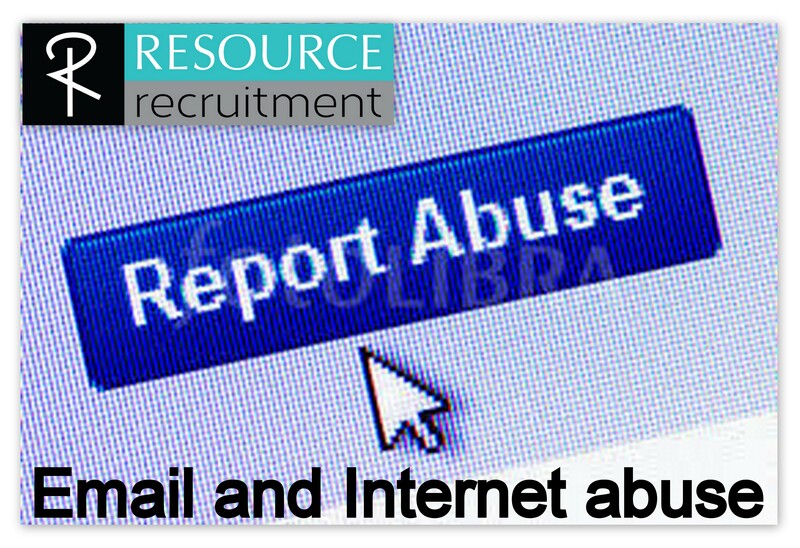 Should the company decide to discipline an employee for abuse of email and Internet, and they do not have a policy in place, the employee can plead that they did not know how the company viewed their actions, and did not know the consequences of their actions. Employees should be made aware that computer or related hardware belong to the company, and that they may access email messages sent or received by company property and from the company email address. Although the company respects the employees’ privacy, this privacy does not extend to the electronic communications, such as email. The company installed email to facilitate business communication and all emails will be considered Company records and may be shared with other people. The employee should not consider their emails to be confidential. The employee is given access to email for the sole purpose of business communications, and may not use this company email or computer for personal use such as running their own business venture or advocating religious or other causes. Company email and Internet may not be used to download or forward any discriminatory information, or any information that may be seen as insulting, disruptive, offensive or harmful to any person. All communication on the company’s email/ Internet system should contain the employee’s name. The employee is responsible for all emails coming from their email address. All emails from the company’s email facilities reflect on the company, and anything said in these emails that are against company policy or reflect badly on the company, may result in disciplinary action. No confidential or proprietary company information may be disclosed in emails. No unauthorized downloading of software or encryption security is allowed. Copyrighted material belonging to other entities other than the company may not be illegally downloaded, copied or forwarded. The policy document should state what information should be included in the email signature and what stationery (background), colours and fonts are acceptable. All emails should have a disclaimer following the signature. The policy document should state who the employee should contact if they are unsure about any of the points in the policy document. All employees should ensure that their computers have up to date virus protection software and follow any company memo’s regarding virus threats. Employees should safeguard their computers against environmental hazards such as lightening; and ensure that removable hardware such as laptops are locked away when the employee is not using them. Should the employee be away from work for an extended period, this hardware equipment should be given to the department head for safekeeping. No company equipment, such as computers, printers and software may be removed from the company without written permission. No unauthorized purchasing of hardware and software is allowed. In addition to the above points, the policy document should also contain a disciplinary policy, stating what action would be taken if any of the above policies were transgressed. Apart from the obvious costs of phone lines and email accounts, there is the cost of the employee’s time. If you take the employees monthly salary and divide it by 168 hours (the average number of working hours in a month) you will get your employees hourly rate. This hourly rate multiplied by the amount of time they spend on personal emails, surfing the net and forwarding on junk mail to other staff, who in turn read and it and forward it on, is the cost of email abuse. Another spin off from the development of email and internet, is social networking sites such as Facebook and Twitter. Employees become very brave when they have a computer screen between themselves and the rest of the world, and say things about other staff, employers and the company that they work for, that they otherwise should not have. This can lead to charges of insubordination, breach of employment relationship and other grounds of dismissal. More and more the CCMA is holding up dismissals related to posts on social networking sites, claiming that if the employee expected their communication was private, should not have posted it on the internet were they had no control over how it was distributed. Employees should be made aware that there is a big difference between complaining about work over a drink to a friend, and putting there feelings in writing on the internet. If you would like a copy of a template Email and Internet Policy and Procedures document, including a disciplinary guideline with regards to email and Internet abuse, please email me and I would be happy to forward it onto you free of charge.